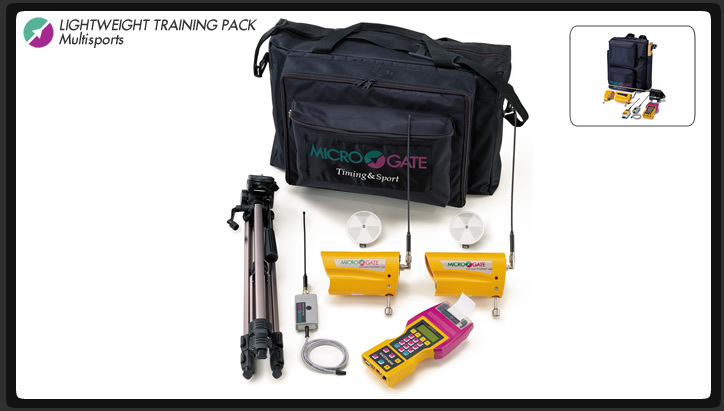 Microgate's popular self-contained Training Packs are the perfect timing solution, offering reliability, versatility, and affordability in a lightweight yet heavy-duty form factor. Available in several configurations, our most popular kits are the Standard Wintersports Pack and the Lightweight Training Pack. Each pack contains a portable ready-to-race wireless solution that is ideally suited to pre-race training, wax testing, warmup runs, or any other application where mobility is required. OTHER CONFIGURATIONS AVAILABLE ON REQUEST!